BIAs first emerged in 1970 – in Toronto and in Los Angeles. In the late 1960’s, Toronto’s inner city was struggling with suburban sprawl as commuting cars began to fill up once vital commercial streets. A few volunteer merchant associations existed but they were not very successful, since budgets tended to be minimal. Street-front commercial areas were suffering as malls were increasing in popularity. Bloor Street West merchants got together to look into how they could compete with “the mall.” They found that all mall tenants were required to contribute Common Area Maintenance Fees, which were used for promotions to draw in customers. They then worked with City of Toronto to develop a special BIA levy – so that individual merchants could pool their resources in a similar way, and create effective marketing programs. Vancouver’s first BIAs were formed in 1989 – in Gastown and Mount Pleasant, for similar reasons to Bloor West. BIAs are now located around the world, including Canada, the US, New Zealand, South Africa, Germany and the U.K. There are more than 1,000 BIAs in the U.S. and hundreds in Canada, including 64 in British Columbia alone. Today’s BIAs do more than provide a common brand and voice for businesses. We also benefit the broader communities and the city as a whole through our contributions to street beautification, street safety, community events and sponsorships. Every BIA is unique in their focus, priorities and approach… just like the businesses they represent. Through partnerships with other BIAs, community organizations and support to city departments, BIAs are a catalyst for positive change, helping to address broader planning, economic and social initiatives. Business Improvement Associations are self-funded, self-governing, grassroots organizations which operate within a defined geographic area. Business Improvement Areas are established and regulated through the BC Community Charter and the Vancouver Charter. The City of Vancouver assists and oversees interested merchant communities with formalized start-up procedures. Once a BIA is formed, it is managed by a volunteer board of property owners and tenants, which uses BIA funds to hire staff and implement BIA activities. BIAs obtain funding through a special property levy, much like a Local Improvement Levy. The City has an ongoing role: facilitating the annual funding process, collecting the levy from individual businesses on our behalf, remitting levy funds to the BIA Board annually following member approval of annual budgets and monitoring annual budgets. Each property owner’s share of the annual BIA budget is proportionate to their share of the total taxable value within the BIA boundaries. In other words, if an owner owns one percent of the total taxable assessed value, their share will be one percent of the BIA budget. In the majority of lease agreements, property owners pass on the BIA costs to the business tenants. 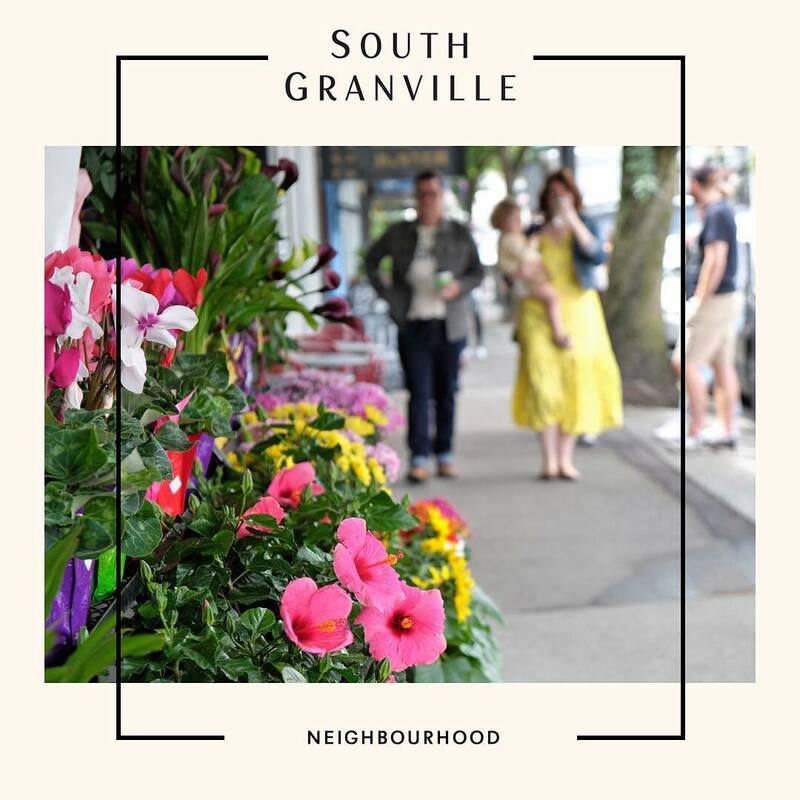 The South Granville BIA is geographically defined by the boundaries of Granville Street from 5th Avenue to 16th Avenue (N/S) and to the laneways on the east and west side of Granville. 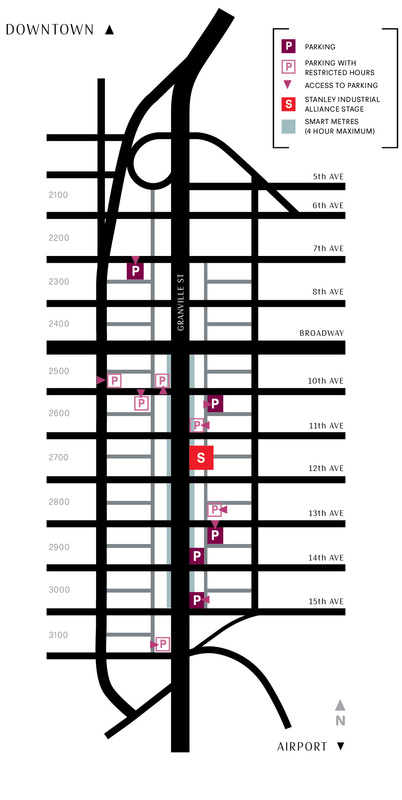 We also represent businesses on the south side of Broadway between Granville and Fir. The SGBIA is not the first merchant association in our area. Almost ninety years ago, at a luncheon meeting at the I.O.O.F. Hall on West 8th Avenue, a “business men’s association of the merchants of South Granville” was formed. One of their first official acts was to approve street decorations for the King’s visit during the summer of 1939. 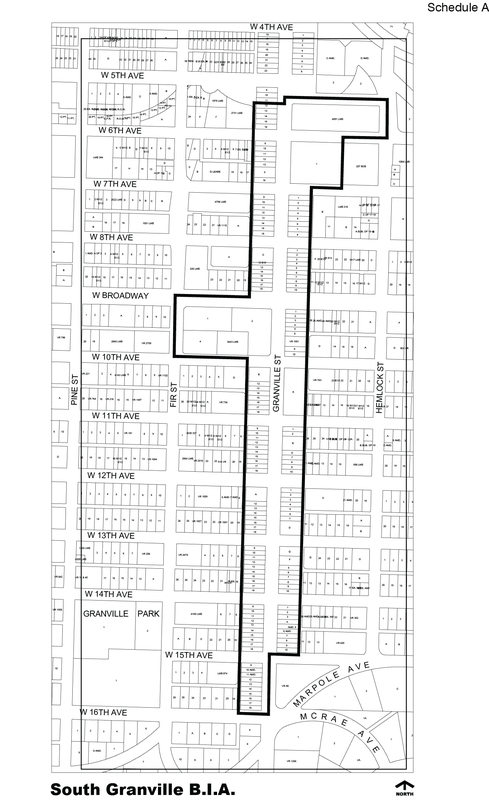 The current SGBIA was established in 1999 after a protracted battle with Translink and their desire to strip parking on both sides of Granville 24-7 to make way for the 98 B – Line bus route. The BIA won the day. Provincial and Municipal BIA legislation requires that every BIA organization establish fixed terms for their existence as declare a maximum level of funding that they will apply for during that fixed term. The current five-year term of the South Granville Business Improvement Association ends March 31, 2019. To continue operating, support for the organization by its members and City Council must be expressed through the passage of new by-law of the City of Vancouver. Planning for the next mandate period through analysis, consultation, budgeting and more is referred to as the Renewal Process. An approval for a maximum funding cap does not replace the need for the approval of an annual budget which is presented and ratified at each and every AGM. The proposed annual budget can be any amount as long as the expenditures over 5 years do not exceed the cap amount. A new mandate period from April 1, 2019 to March 31, 2024 for the South Granville Business Improvement Association must be adopted by the BIA membership at its Annual General meeting in September 2018. A 5 year funding cap for the South Granville Business Improvement Association must also be adopted by the BIA.